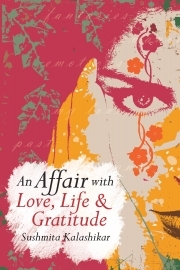 This book is a comprehensive collection of 18 long & short poems, exploring the various phases and emotions of human life from childhood fantasies to teenage blues, romance, after marriage life to social issues that each of us faces in our day-to-day life. The majority of poems are free verse. AI amazing cloud formations artificial intelligence artificial intelligence articles autism autism schools nagpur autistic children autistic schools nagpur beautiful cloud formations best autistic schools best college poems college days college farewell college farewell poem college memories college poems college time college time poems english love poems english poems fascinating cloud formations fiction articles fiction stories first love first rain first rain shower first rain spell graduation farewell graduation poems high school poems hindi shayaris love love poems love stories management guru man with 14 wives marriage marriage portals Middlespace mind-blowing cloud formations monsoon monsoon ripples monsoons monsoon song my first love new year resolutions normal schools for autism normal schools for autistic children normal schools for autistic kids original hindi shayaris personal love stories poems poems on women exploitation poetry on love rain drops rain poems rains rain song rainy days rainy season rare cloud formations romantic english poems schools for autistic children shayari on dosti shayari on ishq shayari on love shayari on pyar shayaris short articles Short Stories Tushar Waghmare unique cloud formations unusual cloud formations welcome new year what is autism?